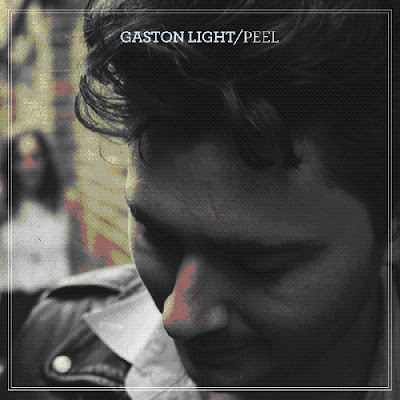 Discussions Magazine Music Blog: GASTON LIGHT/Peel: Available September 20th, 2011! GASTON LIGHT/Peel: Available September 20th, 2011! Gaston Light is the moniker of 22 year old songwriter Jason Corcoran. A born-and-bred Texan, Jason left his native Dallas at 18 and headed, as so many young musicians do to Los Angeles. His debut album Peel conveys a 4 year journey of trials, tribulations and revelations, Jason's roots of Americana take hold in Peel yet to label it such would be too simplistic. Jason simply states "this album is intended to portray the melting pot that comprises the heart and soul of American Rock & Roll." After a comprehensive listen, it evokes a feel of a road trip listening to AM radio's variety of genres passing from state to state: blues, rock, soul, country and folk ballads. Peel was recorded in 2 weeks with friends and a limited budget in a converted garage in Venice, CA often times using the first take which adds a rawness to the soundscape of the album. Upon the completion of recording Jason returned to his hometown of Dallas with a new appreciation of his Texas roots. he has assembled a band and they have been hitting the road hard and will tour extensively throughout the next year in support of Peel.